In this post, we'll see java.util.concurrent.TimeUnit that helps organize and use time representations that may be maintained separately across various contexts with examples. We'll also see how to use TimeUnit sleep() method in Thread context. 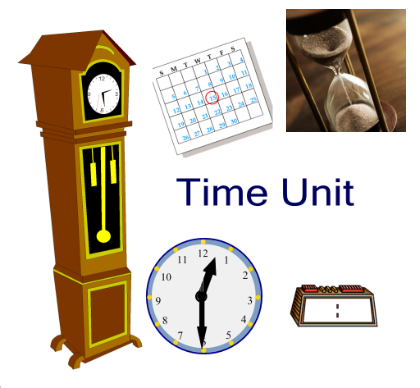 A TimeUnit represents time duration at a given unit of granularity and provides utility methods to convert across units, and to perform timing and delay operations in these units. A TimeUnit does not maintain time information, but only helps organize and use time representations that may be maintained separately across various contexts. TimeUnit is an enumeration that is used to specify the resolution of the timing. Some of the methods in the Java API use specific periods. For example, the sleep() method takes time to sleep in milliseconds. What if we want to specify the time for thread to sleep in some other unit, say days, seconds, nanoseconds etc. In such case, TimeUnit make it easy. A TimeUnit is mainly used to inform time-based methods how a given timing parameter should be interpreted. For example, In java.util.concurrent.locks class, there is one method that take TimeUnit as parameter. When thread woke up and scheduler did't decide to run it. 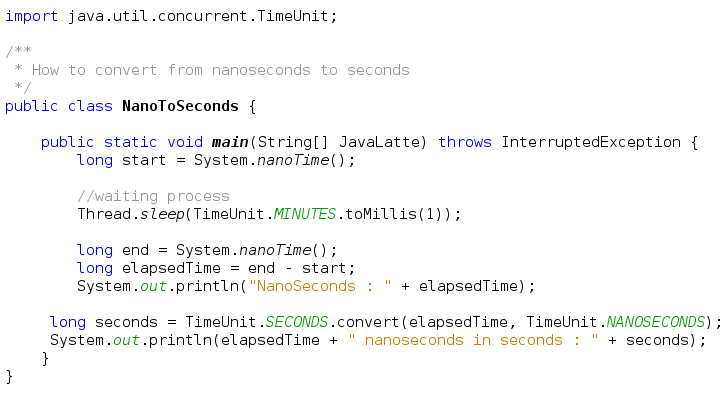 TimeUnit.SECONDS.sleep(5) or TimeUnit.MINUTES.sleep(1) will call internally Thread.sleep see the below code of sleep from TimeUnit.java. The only difference we see is readability, it's easier to understand and remove confusion about time conversion.